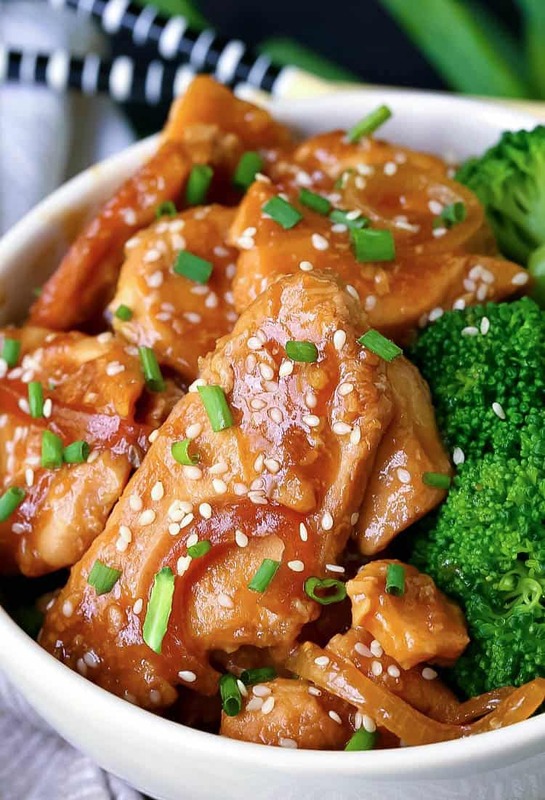 This Slow Cooker Mongolian Chicken is a family favorite chicken recipe! This crock pot chicken recipe is so easy, it can be ready to go in 10 minutes! 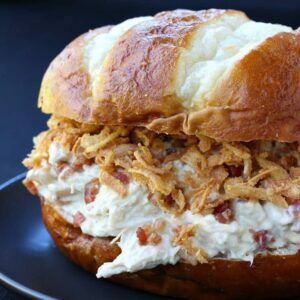 Crock pot recipes are such a big time saver in our house. We make them all the time, not matter what the weather is like outside! Asian food is also a huge hit at our house. So when we can combine a super easy Asian food recipe with the ease of a slow cooker…that’s going to be a win. 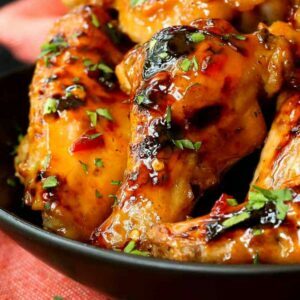 Mongolian Chicken is really a take on Mongolian Beef, but you know we Americans do what we do…chicken has a place in just about every recipe. 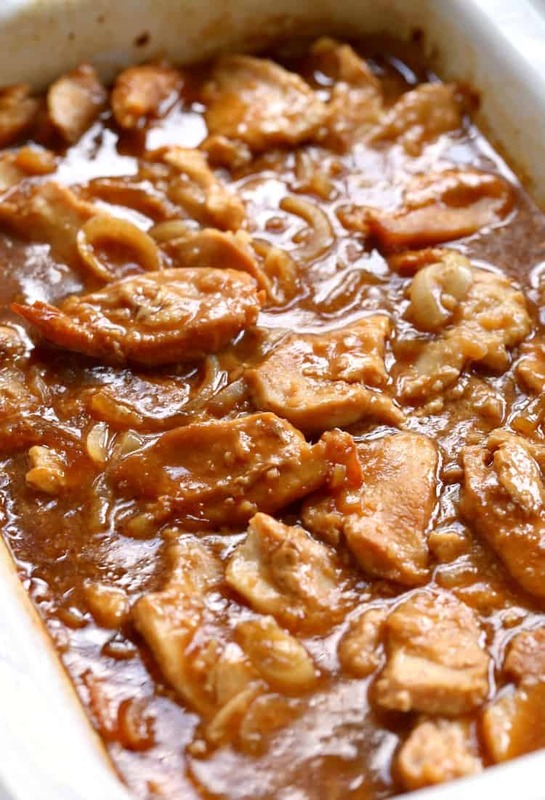 So the beef, or chicken, is typically stir fried then tossed with a sauce made from brown sugar, garlic and ginger then served over or with rice. Certainly can’t be bad so far, right? 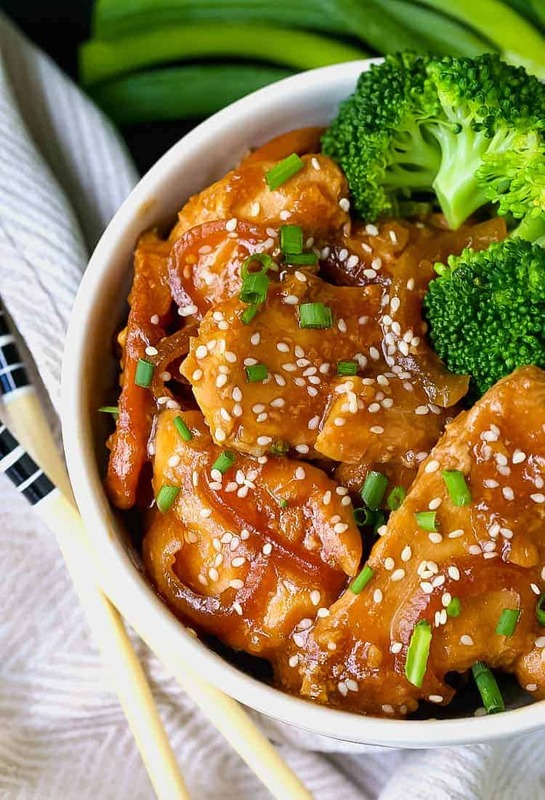 For this Slow Cooker Mongolian Chicken recipe we’re not going to stir fry, we’re going to pretty much dump everything into a slow cooker, turn it on and leave. Definitely one of those “Dump and Go” crock pot recipes, there’s not much else to do here except steam some rice and broccoli when you’re ready to serve. While this Mongolian chicken is a crock pot recipe, it’s not one of those cook all day types of recipes. This chicken only needs 4 hours on the low temperature setting. Otherwise the chicken will get to mushy and fall apart. And I don’t mean that in a good way…there’s tender meat and there’s mushy meat and there’s a BIG difference. Another awesome factor to this recipe is that you don’t have to thicken the sauce after it cooks. The sauce thickens as the chicken is cooking right in the crock pot. After the short, 4 hour cooking time you can give the chicken and sauce a stir and then leave the lid off for now, because we’re getting ready for chow time. How Do You Serve Mongolian Chicken? 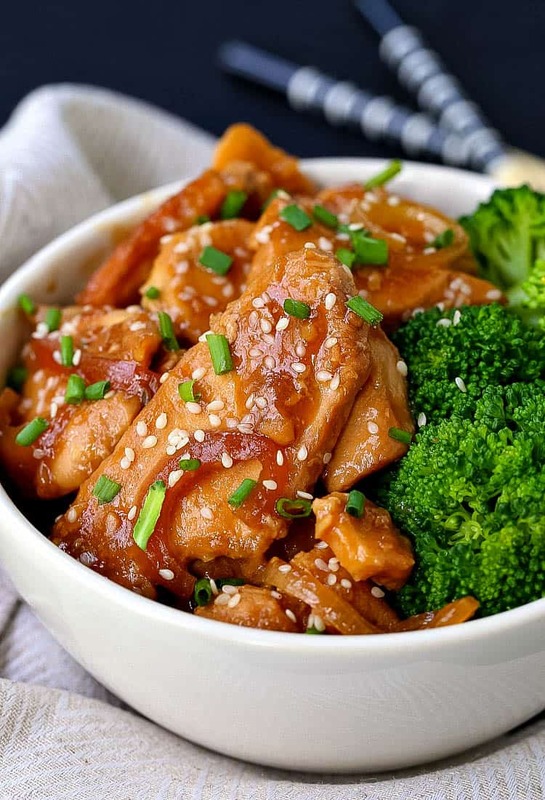 We like to serve this Slow Cooker Mongolian Chicken with fresh steamed broccoli and white rice. Brown rice will certainly do too, even ramen noodles would be awesome. 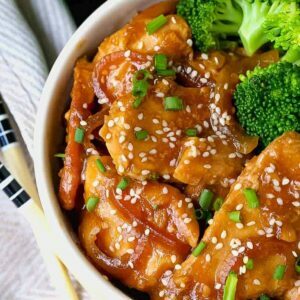 For a lower carb meal you can serve this Mongolian chicken just with the broccoli and leave out the rice, it’s so good I can promise you won’t miss it. But if a scoop of rice is doable for you, and the other members of your family, I do suggest serving this chicken recipe with some sort or rice or ramen noodles. All that crazy delicious garlic and ginger sauce should not be left behind, not a drop of it. How I like to serve this for my boys is to put some rice down in the center of a bowl then spoon the chicken and sauce all over the top. Broccoli gets it’s own spot on the plate, you can mix it in with the sauce or not – I’ll leave that up to you. Yet another super easy, crazy tasty and chicken breast recipe we can add to our busy dinner rotation! 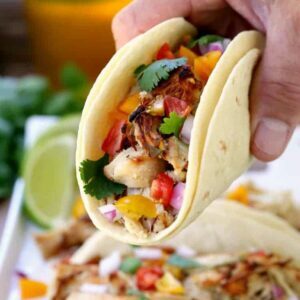 This easy, crock pot chicken recipe cooks in just 4 hours! 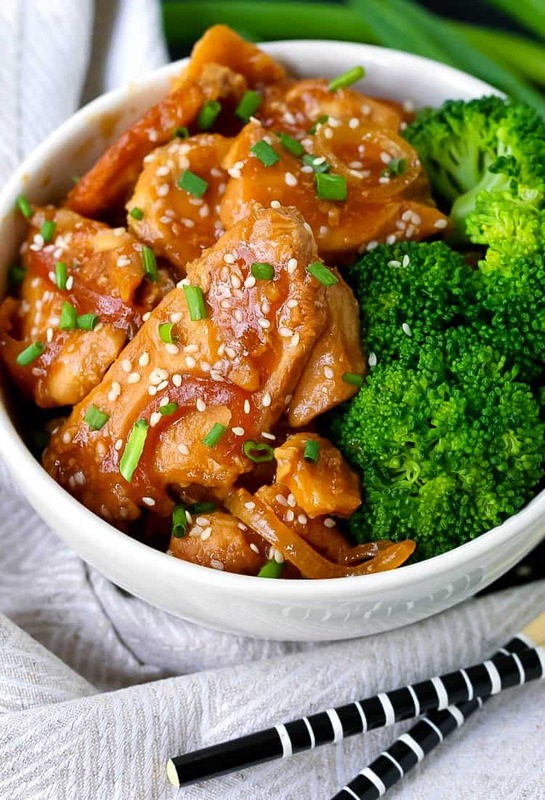 Serve this Mongolian Chicken with steamed broccoli and rice or noodles! Add the cornstarch into a ziploc bag. Place the sliced chicken in the bag and shake until the chicken is coated in the cornstarch. 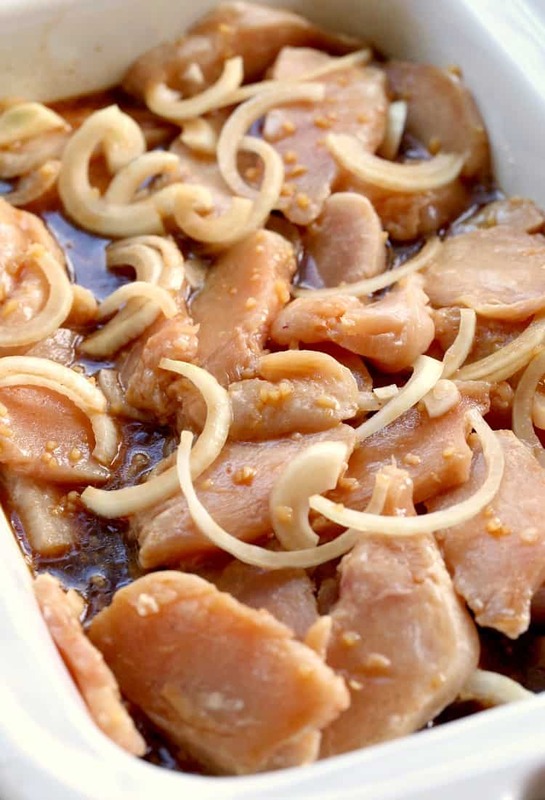 Add the chicken and onions to a slow cooker. Mix the sauce ingredients together and pour over the chicken and onions. Stir to coat all the chicken and onions in the sauce. After the 4 hours, stir the chicken and leave the lid off to serve, the sauce will thicken a little more as it sits for a few minutes. Serve with steamed broccoli and rice if desired. This Mongolian Chicken is perfect with a side of steamed vegetables and or rice! Or keep it a more low carb dinner recipe and leave the rice out! Wow! So simple, so good! That’s the idea! Thanks Max!